Point2 Homes gives you far more than a simple list of houses for sale. Get instant access to a lot of relevant information about Cumberland, Ottawa, ON real estate, including property descriptions, virtual tours, maps and photos. The search results pages also have a wealth of information on Cumberland, Ottawa, ON, if you scroll all the way down. There are 124 houses for sale in Cumberland, Ottawa, ON. 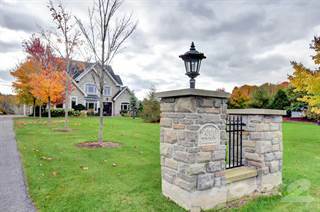 Searching homes for sale in Cumberland, Ottawa, ON has never been more convenient. With Point2 Homes, you can easily browse through Cumberland, Ottawa, ON single family homes for sale, townhomes, condos and commercial properties, and quickly get a general perspective of the real estate prices. Also, you’ll never miss a bargain if you filter listings based on house price drops in the past six months. 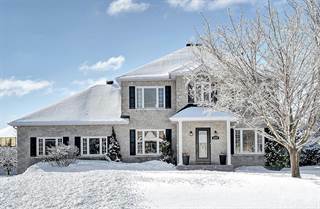 Use the map view to find Cumberland, Ottawa, ON homes and apartments for sale, based on amenities or city features that you may want close by. You can close in on a specific neighbourhood or area by simply drawing around them with the polygon or radius tools. Stay informed about the latest entries on the real estate market by saving your searches. This way, you get new listings in your inbox, daily or every week, based on your preferences. If you’d like to get in touch with a professional, agents are displayed next to their listings, and they’re easy to contact through the online forms. If you want more options, you can click the Tools tab and Find an Agent, and you’ll get a list of helpful and knowledgeable real estate agents in Cumberland, Ottawa, ON. Visit the Point2 Homes blog and you can find up to date expert advice on many markets throughout Canada, regular market reports, neighbourhood scoops in cities throughout the provinces, real estate deals and useful recommendations. Cumberland was once a small village before it was incorporated into the city of Ottawa in 2001. The small village feel is still alive and well, as residents enjoy gathering at community spaces and living life in a quieter, more relaxed part of Ottawa. The neighbourhood has limited public transportation and amenities, which adds to the small-town feel. Located in the northeastern section of the city, Cumberland extends from Anderson Road in the west to Canaan Road to the east, and from the Ottawa River in the north to Burton Road / Russland Road in the south. The neighbourhood has a distinct small-town feel and despite being considered part of the city of Ottawa, is somewhat distanced from the hustle and bustle of city life. Fewer amenities means that residents rely on community events and local recreational options to mingle with neighbours and be entertained. The Cumberland Heritage Village Museum provides visitors with a glimpse into what life was like in the area in the 1920s and 1930s. The museum features heritage and reproduction buildings, heritage breed farm animals, costumed guides, wagon rides, a working sawmill, a garage, a general store, a pump factory, a schoolhouse, a print shop, a church, a firehall, and a blacksmith shop. Artifacts on display at the museum include agricultural equipment, textiles, furnishings, and mass communication devices. A replica train station includes a passenger waiting room, a freight room, and a station master’s office. Also onsite are several houses from that period, as well as heritage herb and vegetable gardens. The museum holds a number of events throughout the year, and has several venues that can be booked for birthday parties, weddings, and other gatherings. The Cumberland Farmers’ Market operates from mid-June to October at Wilfrid Murray Park in the neighbourhood and features many local vendors selling vegetables, fruit, art, craft pieces, baked goods, and other food products. The market also holds special seasonal markets in the fall, at Christmas, and at Easter. Golf lovers have several courses/clubs to choose from in the area, including Camelot Golf and Country Club, Rockland Golf Course, and Hammond Golf and Country Club. Cumberland has few dining options to choose from. The Black Walnut Bakery on Cameron Street offers a variety of baked goods including croissants, scones, buns, tarts, cookies, brownies, muffins, pies, squares, and different types of bread. Café beverages are also available, including coffee and loose leaf teas. Customers can get their goodies to go or enjoy them in the quaint, cozy dining space. Ze Kitchen Restaurant on Old Montreal Road offers a mix of Mediterranean and French flavours in dishes such as pasta, seafood, frog legs, escargots, and meat entrees. The restaurant is located in a heritage home that has been simply and elegantly decorated. Additional dining options can be found east of Cumberland in Rockland. Maison De Xin on Laurier Street is a Chinese restaurant offering both buffet and à la carte options. The buffet features soups, egg rolls, fried rice, meat dishes, seafood dishes, salads, and desserts. Customers can choose to dine in the homey space, or get their food for takeout or delivery. Nearly all of the housing in Cumberland is single-family homes, although there are also some apartment buildings, duplexes, and semi-detached homes. 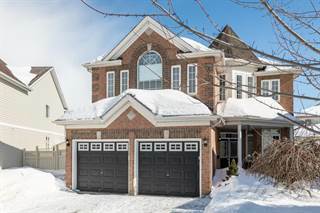 The average price for homes in the area is $543,028, which is higher than the average price for single-detached homes in Ontario overall ($518,000). The population of Cumberland is 4,480, and this has been fairly steady over the past 15 years. Families make up 34% of the population here, 31% are couples, and 35% are single. The average annual income is $96,114, which is higher than the average annual income in the city as a whole, and 66% of residents are university or college educated. Cumberland is somewhat removed from downtown Ottawa, so does not experience as many air quality issues as neighbourhoods closer to the downtown area do. Noise can be an issue near highways. Cumberland has a low crime rate, and the most common type of crime in the neighbourhood is mischief/public disorder. There are no schooling options in the neighbourhood, so residents must look to nearby communities for options such as Trillium Elementary School, Maple Ridge Elementary School, École Élémentaire Catholique Arc-En-Ciel, Sir Wilfrid Laurier Secondary School, Henry Larsen Elementary School, St. Peter High School, Rockland District High School, and Rockland Public School. Post-secondary options are available in nearby communities and include Ottawa School of Art, Herzing College, Canadian Police College, and Algonquin College. OC Transpo public transit bus route 221 runs through the neighbourhood and provides residents with access to downtown Ottawa. Route 302 runs on Tuesdays only and goes to St-Laurent, Navan, and Orleans. Cumberland has several parks, all of which are located in the northern section of the neighbourhood. Barnett Park, situated on the shore of the Ottawa River, features walking trails, a beach area, treed areas, greenspace, picnic shelters, and toilet facilities. Wilfred Murray Park has tennis courts, ball diamonds, a playground, soccer fields, an outdoor rink, and greenspace. Stewart Martin Park is a small greenspace with treed areas, a playground, picnic tables, and a firepit. Cathy-Cain Park is located southeast of the neighbourhood and offers soccer fields, a basketball court, and a playground. Other parks can be found in nearby Rockland, including the Rockland Dog Park, Richelieu Grande-Riviere Park, St. Patrick’s Park, Simon Park, and Dalrymple Park. Petrie Island Park, located west of the neighbourhood, features a beach area, a picnic area, walking trails, an interpretive centre, and a wildflower garden. The R. J. Kennedy Memorial Community Centre is used for classes, workshops, cultural events, private bookings, and other community programs and events. The R. J. Kennedy Arena, located at the centre, has a large rink, change rooms, and spectator seating and is used for hockey, public skate times, and ice skating. Maple Hall is home to the Cumberland Lions Club and is used for community events like barbeques, pancake breakfasts, meetings, garage sales, seasonal celebrations, and charity events. The hall can also be rented by residents for private events such as birthdays, anniversaries, weddings, and family gatherings. The nearest library is the Clarence-Rockland Public Library, located in Rockland. The library provides access to computers, printers, scanners, photocopies, and Wi-Fi, and also has programs such as storytime, computer classes, movie screenings, book clubs, and other workshops and classes.